Why not return them? It they were not as advertised, eBay has a gaurentee. 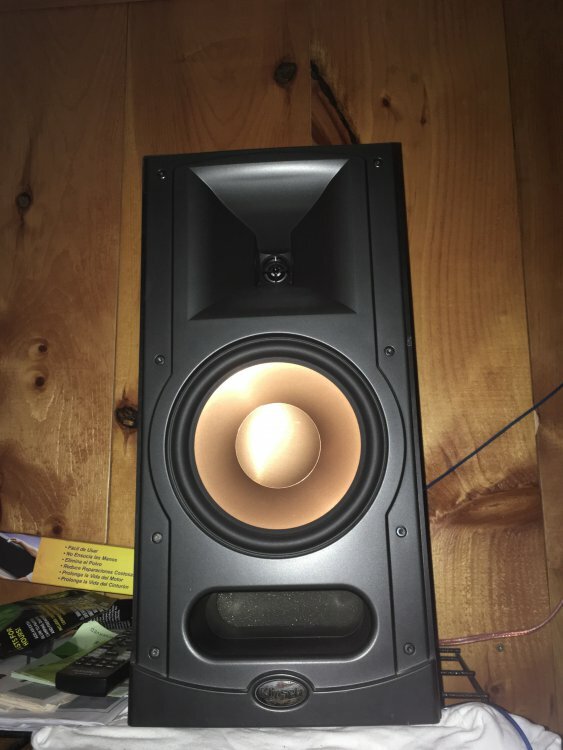 I bought a pair of RB5s once from eBay and they were exactly as advertised EXCEPT one tweeter was considerably lower (6 dB or so?) in outpit than the other. Sell paid return shipping back (didn't make sense to me) and I got a FULL refund. You might want to do the same? I knew they would be damaged. I have had these awhile. Used them in my workout room.